0SALE! 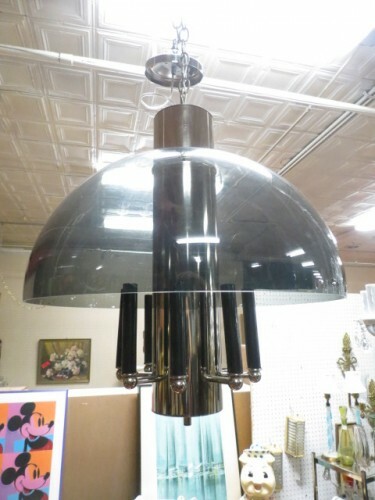 Now $330, originally $475. 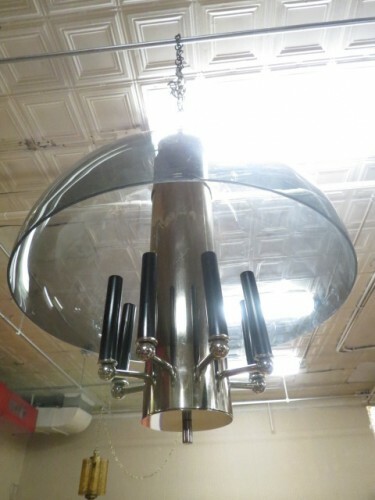 Vintage mid century modern smoked lucite & chrome 8 arm chandelier c. 1970. 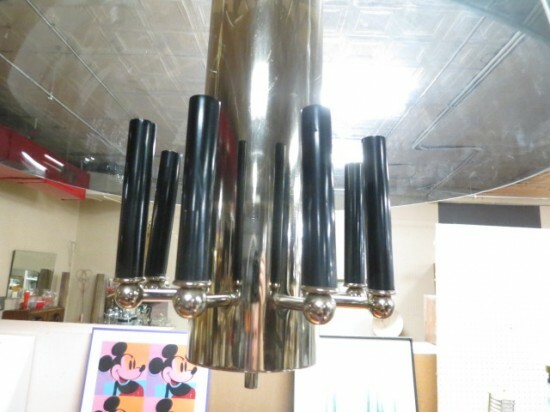 Unusual smoked lucite dome tops on an 8 arm chrome cylinder center with black candle covers. Add a new chandelier to your dining room. Excellent condition. Measures 22” tall, 19” diameter body, and 4.5” diameter at base.